So… How to get a bartending job with little or no experience? Watch Robbie talk with managing partner Steve McAdams of the Harry Buffalo and hear from a real bar owner on what they look for when hiring a bartender for a bartending job. The old saying “you never get a second chance for a first impression” is true, therefore you should dress to impress. If ever there was a time to look good, you should put on your fav jeans and shirt, after all, you will be the face of the bar, so comb your hair and strike a pose! Just like any employer, the bar manager is looking at how you look, interact, and carry yourself. Confidence is key, but don’t mistake that for cockiness, be sure to present yourself as an open willing to learn anything kind of person. Each bar has it’s own ways of doing things, just because you did something one way at your old job doesn’t mean they do it that way at this job, so be open and willing to learn their way. Keep in mind they have most likely interviewed many other bartenders, and while bartending jobs pay very well, no one wants to hire someone that is just in it for the paycheck. Focus on what you can bring to the table, if it’s a sports bar, show them your knowledge of sports – this will highlight that you would be able to interact with customers well and fit the bar. This is the bar business, it’s a customer service oriented job if you don’t take pride in serving customers, bartending may not be the job for you. I’ve taught bartending for many years now, and I understand that my tips are tied directly to the customer’s experience. I refuse to act like a know it all of bartending and spirits to the point where I fail to give the customer what they want. If someone orders a martini and asks me to garnish it with a milk dud, I’m going to drop that milk dud in with a smile! 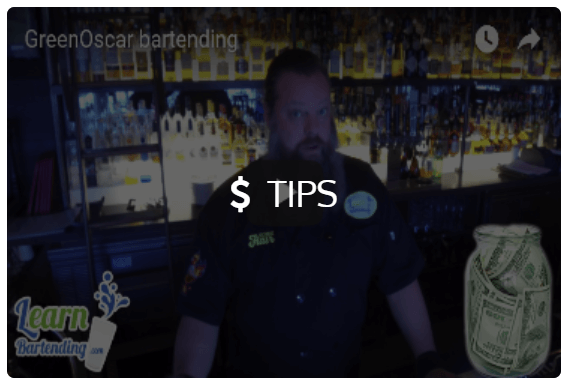 Be sure to check out the bartending jobs page for a bartending job near you, and read more about why bartending is an ideal job for many who want great pay with flexible hours.